When Jennie came to Monmouth College, the Civil War was well underway pulling the majority of men away from the college. When the men returned from combat, they brought stories of other college and university fraternities. This inspired Jennie and the 11 other founding members to form I.C. Sorosis. She was very proud to be apart of this pioneering society. She told her best friend Emma Kilgore, another founding member of I.C. Sorosis, that she wore her fraternity pin, the arrow, on her first day of medical school. After the winter break of 1867, the students returned to Monmouth College's campus to find that some of the women were wearing a letter "A" pinned to their clothes. It was rumored that these "A's" were an all woman secret society. Similarly, it was around this time that the male college students began to return from their time at war with stories of east coast colleges' Greek fraternities. These two factors drove twelve young college women to start their own Greek fraternity at Monmouth College. On April 28th, 1867, the twelve girls met in the Holt house (402 E 1st Ave, Monmouth, IL) and signed the constitution for I.C. Sorosis. 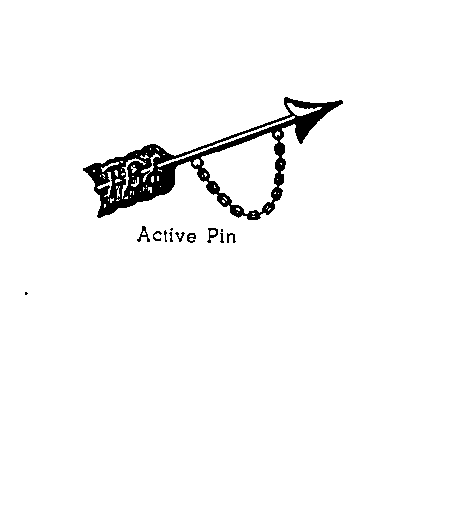 The pin that the Pi Beta Phi's had ordered and shipped from Chicago with the creation of the sorority. Jennie loved her pin so much that she wore it on her first day of medical school. Jeff Ranking describes the events leading up to the founding of Pi Beta Phi. Amber, the 2015 Pi Beta Phi President, comments on why Pi Beta Phi was founded.